Omar Gaber has announced he will miss three weeks with a groin injury as his new club LAFC continue to prepare for the start of their inaugural season. The Egyptian fullback announced on Twitter that he has sustained a groin injury that will cause him to miss three weeks. 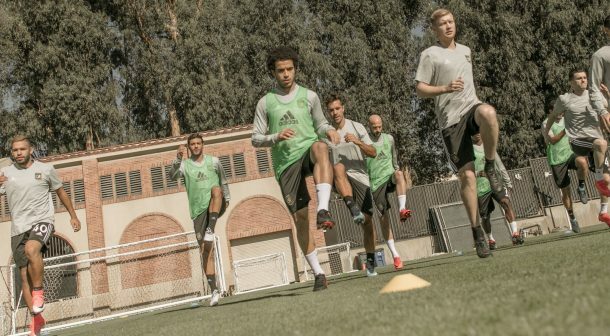 Gaber has been training in Los Angeles as they prepare for their inaugural season, after joining the club on loan in November. The ex-Zamalek man has spoken in-depth about his strong relationship with former Egyptian national team manager Bob Bradley, and the duo continue to prepare for LAFC’s first season alongside the rest of the Los Angeles side. Gaber should be recovered in time for LAFC’s first game against Seattle Sounders on March 4th, and time will tell if he is fit enough to play a role in the match.